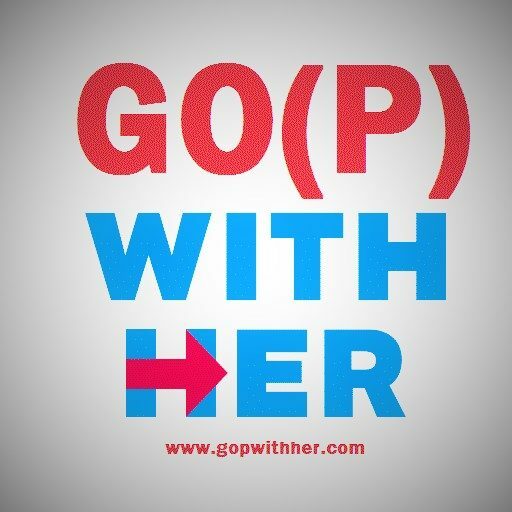 Posted on May 6, 2016 in Uncategorized by GOPWithHer. We the undersigned pledge to never vote for Donald Trump. NEVER. He is a know-nothing con man, whose repulsive language, behavior and lack of composure would threaten not only the future of the United States, but the entire world. He is not a conservative. He is not a liberal. He is for nothing. He is against nothing. He is nothing but a charlatan imposter, a reality TV star with nothing but bankruptcies, scams and failures in his past. By signing this petition, I pledge to do whatever necessary to keep Trump, who is exactly the kind of empty-suit demagogue our Founding Fathers warned us about, OUT of the White House. The thought of giving this buffoon access to nuclear weapons frightens me more than any other possible outcome in this election. Even if it means voting for Hillary Clinton, a candidate I have been looking forward to defeating for a very long time. I’m not happy about this. But I’m willing to do it for the good of the country. #NeverTrump means NEVER TRUMP. Even if it means voting for Hillary. We the undersigned pledge to never vote for Donald Trump. NEVER. He is a know-nothing con man, whose repulsive language, behavior and lack of composure would threaten not only the future of the United States, but the entire world. He is not a conservative. He is not a liberal. He is for nothing. He is against nothing. He is nothing but a charlatan imposter, a reality TV star with nothing but bankruptcies, scams and failures in his past. By signing this petition, I pledge to do whatever necessary to keep Trump, who is exactly the kind of empty-suit demagogue our Founding Fathers warned us about, OUT of the White House. The thought of giving this buffoon access to nuclear weapons frightens me more than any other possible outcome in this election. Even if it means voting for Hillary Clinton, a candidate I have been looking forward to defeating for a very long time. I'm not happy about this. But I'm willing to do it for the good of the country.